Freshly revamped minigames; smooth transitions between combat or buildings; a much more personal story that doesn't seem as distant; new engine means a lot of polish. Combat feels repetitive after Yakuza 0; removal of equipabble weapons is a big detriment; Kamurocho feels a lot smaller; cat collecting minigame could've been so much more fun; removal of a lot of content such as gambling and arena; new minigames are pretty shallow. The Yakuza series is one that has stretched over generations of consoles, with spinoffs, remakes, and some strange derivations (such as a third-person zombie shooter) that started on the PS2 and has made its way to the PS4. 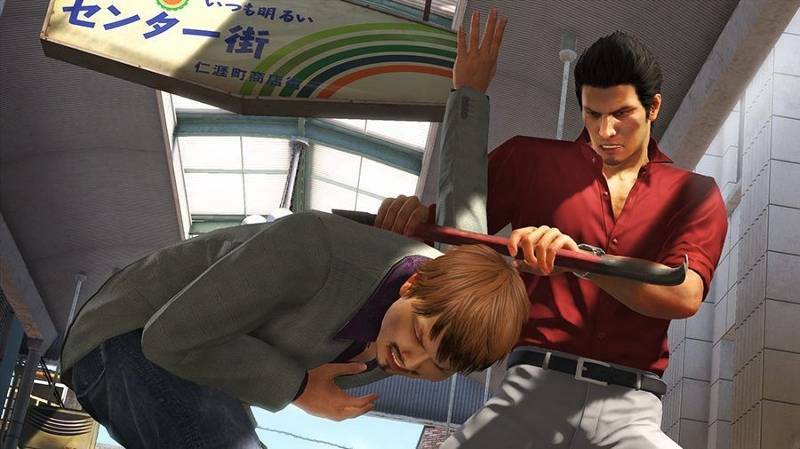 Filled with criminal intrigue, backstabbing plots, and swatchs of grand statements about honor and, you know, that stuff, it's always been an interesting series to play, if nothing else than to see the over-the-top actions and gestures from the protagonist, Kazuma Kiryu, and his opponents. Yakuza 6: The Song of Life (which is actually the seventh main installment, counting Yakuza 0) is the latest in the series, and while it delivers a heavy dose of refinement that the series has seriously been needing over the years, it comes at a noticeable price that keeps it from being the best of the bunch. The game begins almost immediately after the events of Yakzua 5, seeing Kiryu getting put in jail for the events of the game. 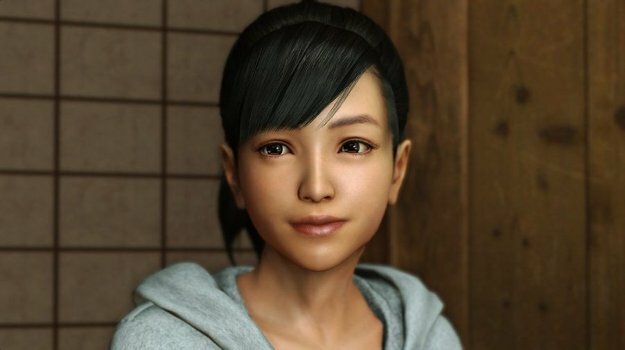 After a skip of some years, he returns back to the orphanage to find that Haruka has been gone for some time, kicking off a search for her that reveals a story that is surprisingly much more personal that I've come to expect from a Yakuza game. Of course, there are still yakuza politics that feature heavily in the plot, murders, backstabbings, and so forth, but the core of the plot is still deeply personal to Kiryu, much more so than anything from his yakuza days. In fact, the game's plot is far less convoluted than those of the previous couple of games have been - Kiryu being the only playable character contributes a lot to this. As opposed to Yakuza 4 and 5, Kiryu is on his own here for the most part, and that means not having four separate character plots to follow in four separate cities. 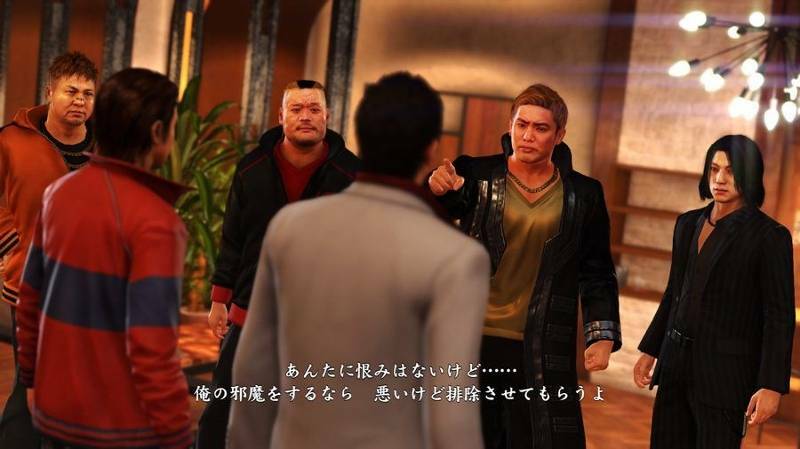 Instead, there are only two: Kamurocho, the always-present setting of the Yakuza series and seat of the Tojo yakuza clan, and Onomichi, a small fishing village in the Hiroshima prefecture. 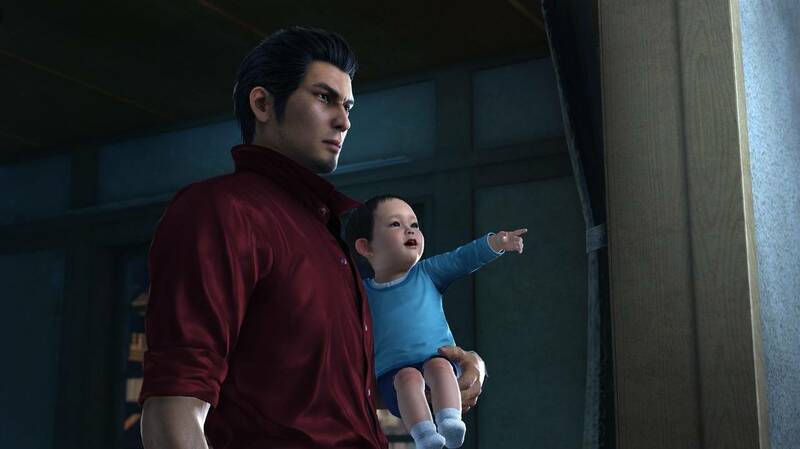 As always, Yakuza 6 is something of an open-world game, allowing you to wander (mostly) free around these neighborhoods at your leisure: while the game may have a plot to follow and a constant urging to move forward, there's nothing stopping Kiryu from taking hours out of his day to play some darts, chow down on food, or do some more...lecherous, activities. This time around, however, Yakuza 6 seems to have heavily scaled back on a lot of its content. 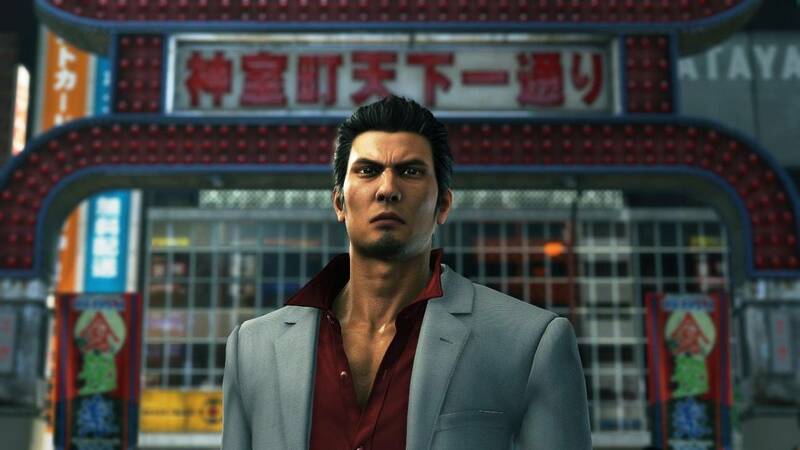 Kamurocho, for example, has had a few large chunks of its area simply gated off behind in-game reasons of 'construction', and a lot of the activities that have been present in Yakuza games, such as bowling, gambling (mahjong is still present), and event the fighting arena, have been excised entirely for reasons unknown. Of course, there is new content in the game, such as a first-person on-rails segment where you spearfish, or a cat cafe in which you need to feed cats from around the city to bring them in, but these feels pretty anemic in general, which little to no depth. A number of the minigames have also been changed, some for the better, some for the worse, such as baseball and hostess clubs, though it's hard to say how well these changes will impact those who've gotten used to how they've worked in the past. The bulk of new content, however, comes in the form of a Clan Creator minigame, as well as a sort of baseball team-management game. Both of these are okay, but lack the depth that some previous content from Yakuza games has had - take, for example, the hunting minigame from Yakuza 5, which came with hours of gameplay available for you to traverse a mountain to hunt various animals. The clan management game, for example, is something akin to a mobile game (such as Clan Royale, or South Park: Phone Destroyer) in which you send waves of enemies to take down an group of enemies. There's a plot to it, with numerous stages, but there's little depth despite there being optional online content to face against others playing the game. The baseball game is even thinner - you set up a lineup of baseball players that have been recruited through the game, and hope that they can complete the missions before them. It's okay, but there's very little actual interaction that takes place. Probably the game's biggest failing is that the combat just isn't that interesting. After Yakuza 0 and Kiwami introduced numerous combat styles and moves, offering a layer of strategy to combat that was sorely lacking, Yakuza 6 takes a couple steps backwards to ignore those changes, going back to the same combat from previous games, only with fewer moves. There are no weapons that you can equip, for example, only take off of foes, and even then, only knives, swords, and guns. Even the variety of objects that can be picked up and weilded like weapons has had their moveset reduced, meaning that using a heat move (a special attack) with, say, a bike, is the same as using a heat move with any other large two-handed object. Combat's only change of pace comes in the form of a boost in strength that Kiryu can activate, draining his heat but raising his power greatly and allowing the use of stronger attacks and special moves. It's fun to use, but it just doesn't make up for what's been removed from the rest of the system. What can't be denied, however, is how much polish and shine the game has this time around. Being able to enter combat with nary a moment of loading, walk into and out of buildings with nary a loading screen or pause (combat can even be brought into places of business), and just the level of improvement that the game, in general, has seen could have made this the best Yakuza game, if not for the amount that had to be left on the cutting floor as a result. Small example: no longer do bartenders have little descriptions for every alchoholic drink you purchase, giving you depth and flavour to the world you inhabit. It's the small details like this that I really miss from the game. It's a shame that this can't be looked at as one of the best games in the series - ironically, it's the release of the Yakuza 0 prequel and the Kiwami remake of the first game that show how much, exactly, is actually missing from this title. A great story, engine, and newly-revamped minigames do improve the game, and just by virtue of its small-scale open-world gameplay does it stand out from contemporaries, but Yakuza 6 just seems like a step back from its predecessors in some key ways. That said, it still says something about the game's quality that its still a standout title and definitely worth playing.